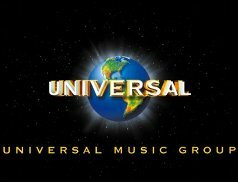 LONDON (VIP-NEWS) — Duncan Schwier, a former production exec at Universal Music, admitted in a British court this week to syphoning more than £640,000 from the major label. Using falsified invoices, Schwier says he directed money to nonexistent companies for more than a decade. The court was told that the money amounted to £643,697. According to the Daily Mail, Schwier was caught after he was promoted in early 2013 and his predecessor, John Clifford, noticed large amounts of missing funds. Schwier, 52, told the Hammersmith Magistrates Court that the background for his con was a "series of cancers for which I have medical reports." Schwier worked as a general manager of Universal Publishing Production Music. The court said he began working at Universal in 1984. A court official said that although a guilty plea was submitted, a higher court would have to take over sentencing in the case because of the length of the fraudulent activity and the large amount of money involved. Schwier was released on bail and will be sentenced on Sept. 30.